You can save 52% on tickets to Xavier Mortimer's Magical Dream today! Book online for the best price. Book your tickets now to receive up to $53. Be sure to compare all offers to get the best rates for the show date/time you wish to attend. 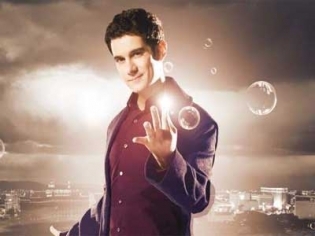 Xavier Mortimer brings his unique combination of comedy and magic to the stage at Bally’s in the dream he creates for his fans. Mortimer is known for his performances on America’s Got Talent as well as an ensemble role in Michael Jackson ONE. He brings his talents to a show that will inspire wonder, but also inspire laughs as his story unfolds in 14 acts. He engages in physical comedy, acts of illusion, and he even composed the music for the show! Enter his dream world inhabited by a cast of unconventional characters and go on an adventure which you will never forget. In a class by himself, Xavier’s innovative form of magical entertainment is the new standard set for magic shows! Filled with fresh illusions and stunning visual effects, you will want to return a second time! Could not take it; walked out of the show. No magic, no illusion. Cheap childish tricks.